Smart grid control demands delegation of liabilities to distributed, small energy resources. Resource independent algorithm design demands abstraction from individual capabilities for integration into a general optimization model. For predictive scheduling with high penetration of renewable energy resources, agent approaches have shown good performance especially when using classifier-based decoders for modeling flexibilities. Such decoder-based methods currently are not able to cope with ensembles of individually acting energy resources. Aggregating training sets that are randomly sampled from phase-spaces of single units results in folded distributions with unfavorable properties for training a decoder. Nevertheless, for integrating e. g. a hotel, a small business, or similar with an ensemble of co-generation, heat pump, solar power, or controllable consumers a combined training set is needed. Thus, we improved the training process. 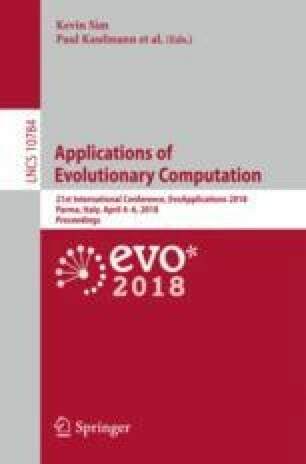 We present an approach using evolution strategies for sampling ensembles that moves new instances to better positions according to spread and coverage of the feasible region. As a test case we use CMA-ES and present preliminary results demonstrating the applicability of the proposed approach.